Since the Affordable Care Act (ACA) was implemented, many changes have occurred in how health care is delivered. Two recent changes are the introduction of pharmacists in the emergency room at many hospitals and national retail stores offering minor medical care services. Hospitals are adding pharmacists in the emergency room to help catch prescription errors. Many hospital emergency rooms provide care for a significant number of patients each day. Given this volume and the unique needs of each individual, sometimes information and details can be missed. Children’s Medical Center in Dallas, Texas, is one example of a hospital that has introduced pharmacists in the emergency room, with the goal of reducing medication errors. The hospital reports that mistakes may occur because many drugs have similar names, and there are different dosing measurements. A pharmacist now reviews the accuracy of every drug ordered before it’s administered, such as verifying that the prescribed medications are compatible, won’t create allergy reactions and the dosage is correct for the patient’s weight. 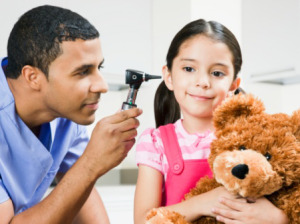 When your child complains of fever and ear pain and the doctor’s office schedule is full, what should you do? One option is to check whether any local retail stores offer primary care services. Under the ACA, more Americans have access to medical insurance coverage, which is placing an increased demand for health care services that historically have been provided by primary care doctors. To meet this need, several national retail stores have established minor medical care clinics. Extended hours, lower fees. Many retail clinics offer extended hours with fees that are less than 30 to 40 percent of those charged by primary care doctors. The clinic health professionals offer a range of services, such as administering tests and shots, assisting patients in managing medical problems, writing prescriptions and referring patients for more extensive health care and tests. Physician shortages. The Association of American Medical Colleges reports that by 2020, there will be a shortage of over 45,000 primary care doctors. Why? Many older doctors are retiring from practice and younger physicians are choosing to focus on specialty areas of medical care.